Audi’s U.S. chief heads to Volkswagen. 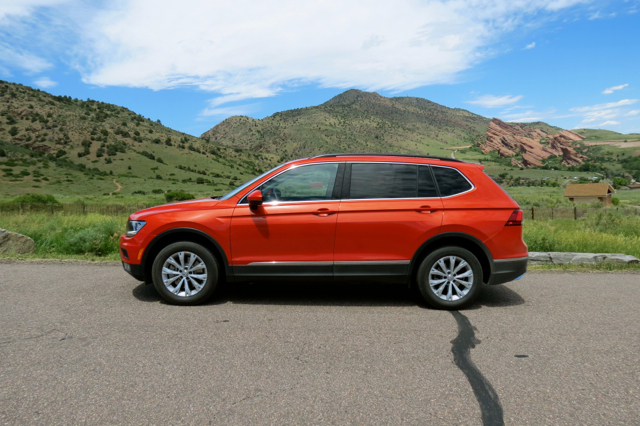 The VW Tiguan is a roomy, compact SUV. Audi of America’s loss is Volkswagen of America’s gain. This week, Volkswagen announced that Audi’s president will become president and CEO of the Volkswagen Group of America as well as head the Volkswagen brand in North America, beginning November 1, 2018. Scott Keogh’s appointment is significant as it comes just as the Volkswagen brand seeks greater recognition in the ultra-competitive U.S. market. Notably, the German automaker forfeited its place as America’s favorite import brand of the 1950s and 1960s, allowing upstarts from Japan to take its place. Only recently, Volkswagen has been trying to expand its reach by introducing a pair of updated or new crossovers in the compact Tiguan and the midsize Atlas. Keogh joined Audi in 2006 as its chief marketing officer. In 2012, he was appointed president just as Audi was undertaking a stateside expansion that doubled sales from 2010 to 2015. Today, Audi is the fourth best-selling luxury automotive brand in the U.S., trailing only Mercedes-Benz, BMW and Lexus. 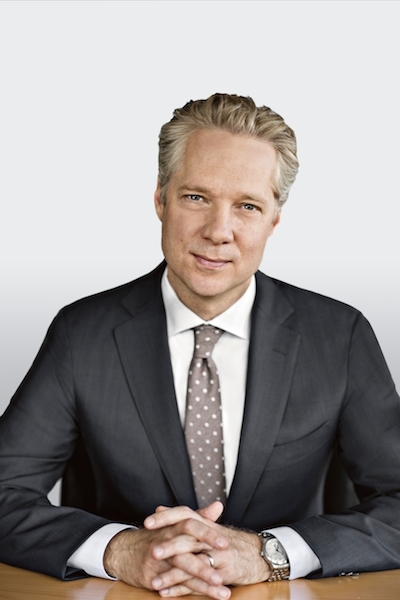 Scott Keogh, from Audi to Volkswagen Group leadership. Through September, Audi’s U.S. sales are up 3.92 percent on 164,834 units sold. For the same period, the mainstream Volkswagen brand is enjoying a 5.45-percent increase based on 266,217 units sold. Both brands are thriving in a marketplace where overall sales are down 4 percent so far this year. Audi’s ascendancy, of course, cannot be attributed to just one person. That said, Keogh has instilled confidence in the brand and will turn over the reigns to Mark Del Rosso, who is currently serving as the head of Bentley of the Americas. Del Rosso will assume his new position on December 1. His replacement has not yet been named. Although Keogh joins Volkswagen as is sales improve, the brand is still attempting to find its way in a fast-changing market. The earlier diesel scandal still looms over the company, which has had to pay tens of billions of dollars in fines and compensation costs. Importantly, its once trusty line of diesel engines is now gone. The automaker has since redirected its investment strategy to electric vehicles, but the company is still playing catch up. Volkswagen’s strongest vehicle lines have long been the Golf and Jetta, along with their many variants. But as consumer interests shift to crossovers, Volkswagen has been making the transition too. Indeed, in recent years we have seen an all-new Tiguan, a compact crossover SUV, updated to take on its current competitors. The previous model was considered too small to matter much, but the new model corrects that deficiency. 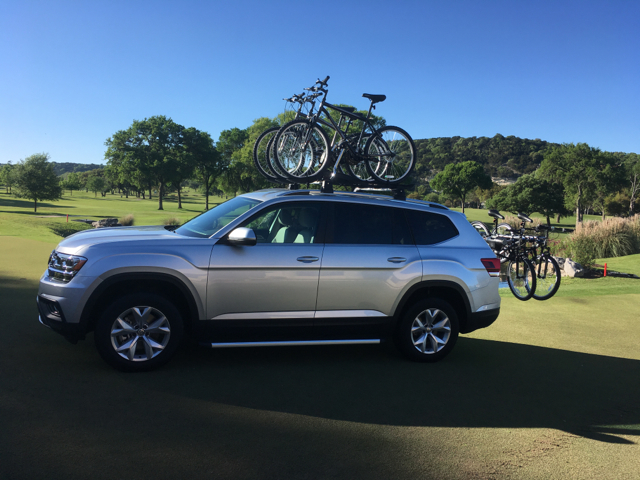 The VW Atlas is this brand’s largest SUV. The surprise hit (for some analysts, but not this one) is the Atlas, a seven-passenger, midsize crossover SUV. The new model succeeds in a segment led by the likes of the Ford Explorer, Toyota Highlander, Chevrolet Traverse, Honda Pilot and Nissan Pathfinder. Though its sales pale in comparison to the best sellers, Volkswagen moves more Atlas models than the Buick Enclave and Mazda CX-9. Besides electrification, Volkswagen has other challenges to tackle. Likely, we’ll see additional variations on the VW Atlas theme, with five-passenger and hybrid versions likely. A subcompact SUV is very much needed, although we like VW’s strategy whereby the Golf SportWagen and Golf Alltrack supply something different for the market. Volkswagen must also decide whether the midsize Passat sedan deserves a lease on life. Built at the company’s Chattanooga, Tennessee, manufacturing plant, that space might be better used for a utility vehicle. We think Volkswagen will eventually discontinue the Passat, while introducing the new Arteon sedan. It’ll stay with its core Golf and Jetta cars and lean on an ever-widening range of people movers to increase market share. If Keogh is able to replicate at least a portion of Audi’s success while overseeing the Volkswagen Group, the automaker may very well find itself taking away customers from its many competitors. That’s something that should send a shudder through corporate boardrooms in Detroit, Tokyo, Seoul and elsewhere. This sleek Arteon may replace both the CC and Passat. 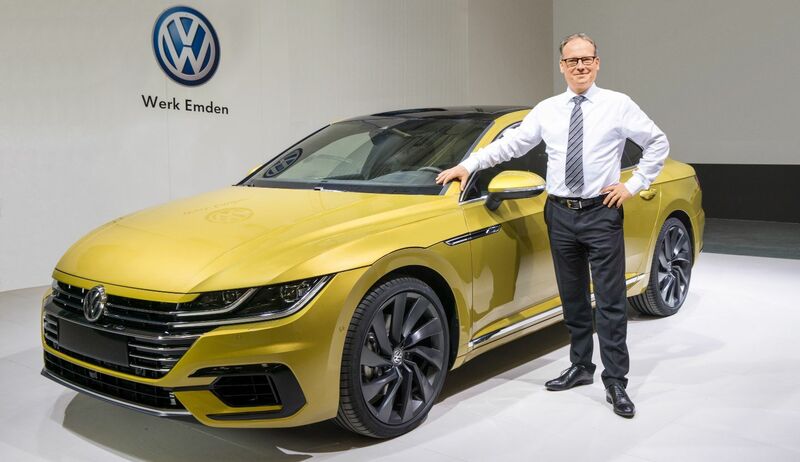 Scott Keogh and VW Arteon photos copyright Volkswagen Group of America; all other photos belong to Auto Trends Magazine.